Over the past few decades, we may have come a long way as far as the development of cutting-edge technology and new fangled inventions are concerned. On the contrary, however, our health has suffered a huge blow. Hurried lives, cholesterol-rich diets, poor habits and our improper daily routines have all contributed greatly to our weakened immune systems, making us more susceptible to illnesses. While we may support the growth of our economy by making repeated trips to hospitals, we often forget to tackle the root of the problem. Pulling off all-nighters to impress the boss? Can’t say about the boss, but you sure might end up hurting your immune system instead! Sleep deprivation and stress can increase the production of pro-inflammatory cytokines and also lead to immunodeficiency, reports a study conducted by Springer Open Choice. Catch a minimum of 8 hours of sleep every day and avoid taking stress by practicing calming activities like meditation and yoga. Like every other bodily function, your diet goes a long way in impacting your immune health, too! Your body requires a balanced diet rich in essential vitamins and minerals to ward off infections and pathogens that can attack your natural defense system. Antioxidants such as vitamins C, A and E, especially help your body fight the formation of free radicals, thereby preventing oxidative damage and improving immunity. Is your gym enrollment form catching the pile of dust? It’s time you finally dust it off and make exercise a part of your daily routine. Apart from improving your metabolic function, your mood and protecting you from obesity, diabetes, cardiovascular diseases and other health conditions, exercise helps improve overall immunity function too. Those elderly men who exercise have a better immune system than sedentary elderly men. Exercise thus prevents age-related decline in immune function, a study conducted by Immunity and Ageing revealed. Get an hour of intense physical exercise at least 5 times in a week. The harmful effects of smoking and overconsumption of alcohol are known to us all. Unsurprisingly, these factors can also impact your immunity! Binging on alcohol can weaken your host defenses and impair the function of T and B lymphocytes, natural killer cells and monocytes and macrophages. This thereby decreases your body’s inflammatory response and alters cytokine production. Smoking increases the production of pro-inflammatory cytokines such as TNF-alpha, IL-1, IL-6 and IL-8 while reducing the activity of anti-inflammatory cytokines such as IL-10. Smoking also declines your natural defense against pathogens and promotes autoimmunity, reveals a study conducted by the Journal of Dental Research. Need any more reasons to finally quit drinking and smoking? One of the best combinations, tomato and carrot juice results in a delightful blend of flavors of the two healthful veggies. It is one of the best immune-boosting recipes out there, owing to its high concentration of the antioxidants vitamin C (from tomatoes) and vitamin A (from carrots). Vitamin C helps in the formation of skin’s structural protein called collagen that keeps the skin strong, thereby acting as a barrier to prevent the entry of disease-causing pathogens. It also helps in the production of white blood cells that fight infections. Vitamin A helps ward off infections and maintains mucosal surfaces by regulating the activity of T cells, B cells, and cytokines. Vitamin A also helps prevent the risk of age-related macular degeneration. The magic ingredients ginger and garlic, are both known to fight infections for over centuries. A study conducted by Harvard Medical School physicians found that increased garlic consumption can ward off cancers. Garlic also contains a phytonutrient called allicin that contributes to improved cardiovascular health. It even lowers blood pressure and regulates cholesterol. Ginger contains the chemicals shagaols and gingerols that help stimulate blood circulation and ensure that the tissues get more oxygen and thereby remove toxins. Ginger plays a major role in preventing, and curing flu, suggests a research conducted by the Toyama Medical and Pharmaceutical University in Japan. 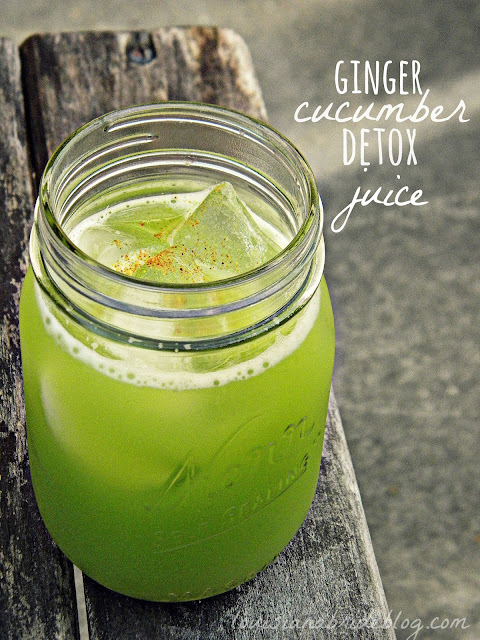 This juice recipe is your perfect beverage to stay healthy and disease-free. What’s more refreshing and revitalizing than a bowl of watermelon? A glass of watermelon and chia juice! Did you know that this delicious recipe is a lot more than just a treat to your taste buds? It’s an immune-boosting powerhouse that’s also extremely hydrating during the hot summer months. Watermelon is packed with vitamins A, C and B6, all of which contribute to improved immunity. Watermelon also contains an extract called Citrullus lanatus ‘sentinel’ that improves inflammatory responses by stabilizing homeostasis of pro and anti-inflammatory cytokines such as interferons and interleukins reports a Journal of Nutritional Biochemistry study. The large amounts of antioxidants contained in heart-healthy fat rich chia seeds help prevent the free radical formation and fight common cold and flu. Leafy green veggies are probably the healthiest natural foods known to man. They contain a combination of essential nutrients like ascorbic acid, carotene, riboflavin, folic acids, vitamin K, iron, calcium, and phosphorus. Their moderate antibacterial properties with various pharmacologically active compounds help treat bacterial infections, reports an Asian Pacific Journal of Tropical Biomedicine study. This juice contains a mix of the most nutritious green veggies that make it the perfect blend of great taste and good heath. An apple a day keeps the doctor away; more so, when combined with the goodness of carrots! The soluble fiber contained in apples has the capability of fighting inflammation that can lead to obesity-related diseases and can help strengthen the immune system, a study conducted by the University of Illinois, Urbana-Champaign reports. Carrot is rich in beta-carotene; a precursor of antioxidant vitamin A that can prevent damage caused by oxidation and associated illnesses like cancer, diabetics, rheumatoid arthritis, cardiovascular diseases and much more! These delightful recipes are sure to contribute greatly to your endurance and wellbeing! Drink healthy, stay immune!